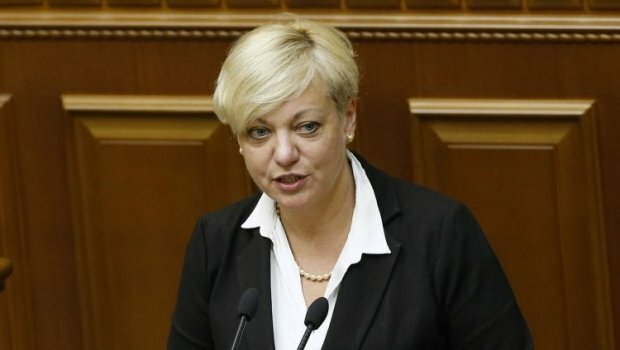 As of today, the National Bank of Ukraine (NBU) sees no reason to strengthen the hryvnia exchange rate, NBU Governor Valeria Gontareva said at a news conference on Monday. "We have a flexible rate, and every month, after the meeting of the Monetary Committee, I tell you what we'll have... When I say that we have a deficit of current account... this means that the exchange rate cannot be strengthened, and the risks increase. But I can say that the situation in the CIS countries is worse, because we are under the IMF's umbrella," she said. Read alsoNBU governor makes forecast regarding next IMF trancheAs UNIAN reported earlier, after a stable rate in the range of UAH 21-23 to the dollar, hryvnia quotes to the dollar in mid-January moved downward – to UAH 24-25 to the dollar, while the rates of cash and "black" market reached UAH 26-27 to the dollar.